The bad habit can be linked to a number of different factors, but stress is one of the worst culprits. Also, since grinding generally occurs during sleep, it can be hard to know you’re doing it. However, some signs include flat tips, worn tooth enamel, increased sensitivity, indentation on the tongue, and an earache. To alleviate the damage done by bruxism, you can opt for dental implants. You can also prevent further grinding by wearing a night guard while you sleep, keeping your teeth slightly apart during the day, and practicing stress-relief techniques. Anxiety can alter our mood and change the way that we live. Therefore, some people that experience extreme stress may skip brushing, flossing, and rinsing. This can then lead to cavities, rotten teeth, and gum disease. Also, when you’re stressed, you tend to pick up unhealthy eating habits. Many people snack on chips, chocolate, ice cream, and cookies which can ultimately increase the risk of cavities. It is important that you get into a regular dental hygiene routine even when you’re experiencing stress. Brush your teeth and floss at the same time every day. This routine can help remind you about your dental duties and also work to alleviate stress. If you clench or grind your teeth constantly, it can lead to a condition known as temporomandibular disorder (TMD). This involves the joints in the commons and leads to a persistent and sometimes painful popping when you use your jaw. If left untreated, TMD can have a serious impact on your oral health. Stress can also lead to canker sores as many people experiencing anxiety tend to bite the inside of their cheek. To alleviate any physical symptoms of stress it is important to identify the issues and seek advice from a dentist. You should also attempt to tackle the source of stress in your life so that you can be happier and healthier. Stress affects us all, but it manifests in many different ways. Be sure to monitor your oral health and make sure that anxiety doesn’t grind your gears. American Sleep Association. 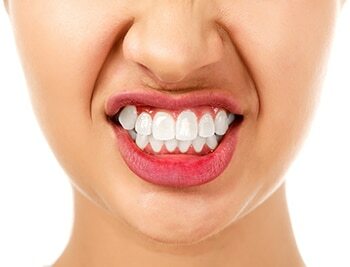 Bruxism – Teeth Grinding Symptoms, Treatment & Causes. Retrieved from https://www.sleepassociation.org/sleep-disorders/more-sleep-disorders/bruxism/ (December, 2018). Goyal, S. (2013). Stress and periodontal disease: The link and logic!! Retrieved from http://www.industrialpsychiatry.org/article.asp?issn=0972-6748;year=2013;volume=22;issue=1;spage=4;epage=11;aulast=Goyal;type=0 (December, 2018). Next Posts => OCD: What Is It? How Is It Treated? It is the quite important thing that has to be taken care seriously. As maximum health problems are happen due to the poor dental health , and the stress lead to poor dental health. TMD has to be cured in order to live a healthy life.